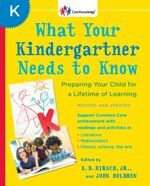 “What should my child be learning in school?” If you’ve ever asked that question, this book can help. 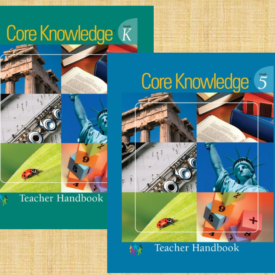 What Your Kindergartner Needs to Know is part of the eight-volume Core Knowledge Series—from What Your Preschooler Needs to Know through What Your Sixth Grader Needs to Know. 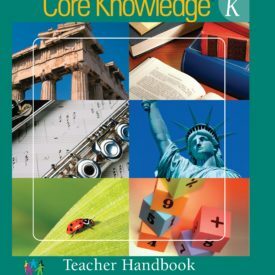 The series offers parents, teachers, and children an illustrated guide to the essential knowledge outlined in the Core Knowledge Sequence, including beloved stories and poems, familiar sayings, interesting information on history and geography, lively discussions of visual arts and music, and explanations and activities in math and science. Updated editions suggest related readings and resources, as well as age-appropriate questions that stimulate thinking and build vocabulary. 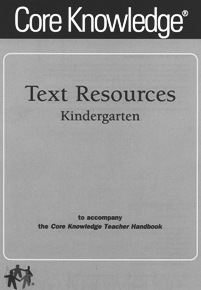 The kindergarten volume also includes a section on how children learn to read. 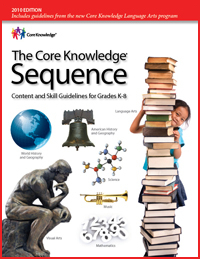 The eight-volume Core Knowledge Series—from What Your Preschooler Needs to Know through What Your Sixth Grader Needs to Know—offers parents, teachers, and children an illustrated guide to the essential knowledge outlined in the Core Knowledge Sequence. Each book provides beloved stories and poems, familiar sayings, interesting information on history and geography, lively discussions of visual arts and music, and explanations and activities in math and science. Updated editions suggest related readings and resources, as well as age-appropriate questions that stimulate thinking and build vocabulary. The kindergarten and first grade books also include sections on how children learn to read.